MoveGB has been officially accredited as the third fastest growing UK tech company in the 2017 Deloitte UK Technology Fast 50, having achieved a growth in revenue 6,053% percent over the last four years. 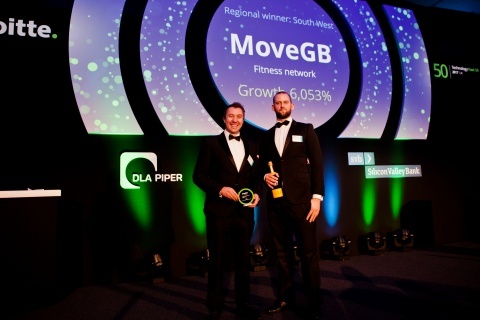 Based in Bath, MoveGB attributes its staggering growth to the determination to build a consumer centric fitness service, coupled with the huge variety of activities available on their platform. “It’s a real honour to be recognised by Deloitte for our unprecedented growth and achievements over the last 4 years. I want to thank the hard work and talent of the MoveGB team for making this happen alongside the support of organisations such as Deloitte, SETsquared and our investors.